Part 1 | Introduction to Manufactured Spend: What is it? Welcome to the world of manufactured spending or more commonly referred to in the miles community as MS. Manufactured spending can be used as a powerful tool to essentially ‘purchase’ miles and points in a relatively short period of time, at a significant discount. 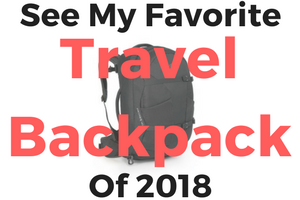 Who really wants to wait around for years to finally book their dream vacation, right? I know I don’t so lets dive in further! As the name suggests, this is a method where one creates spend, such as buying gift cards (sometimes with a fee) to liquidate later to meet minimum spend requirements as well as earn miles from bonus category spending. 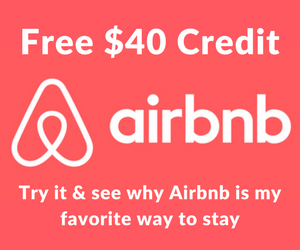 During this process you are charging the purchases of these gift cards on your credit card to earn valuable airline miles, hotel points, or cash back. What kinds of gift cards are there? There are 3 kinds of gift cards currently available to the public: Visa, Mastercard, and American Express. Preference here goes to Visa, as these gift cards are easier to liquidate since they are coded as debit cards by Visa and by law they are pin-enabled cards. 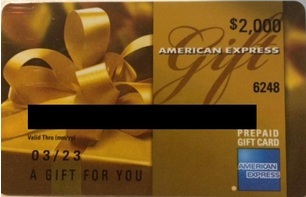 American Express gift cards are a bit more complicated will be covered much more in depth in future posts in the series. 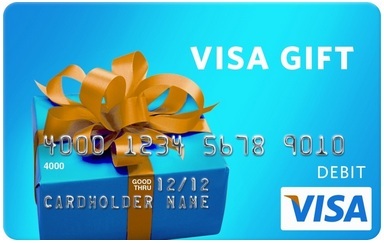 Visa gift cards are a favorite among many people because of the various categories of stores they are sold in, including drug stores, gas stations, and grocery stores. For example, there are credit cards that have one of their bonus spending categories as gas stations such as Chase Ink or Amex Gold. Other cards, such as the IHG Rewards Club or Amex BlueCash, have bonus spending categories for purchases made at grocery stores. Of course this is by no means the entire list of credit cards which can be used for manufactured spending. I will write more about this in the next post of the series. So far we have only made it to the half-way point in this race marathon because owning a ton of gift cards isn’t the goal here. The next step is to liquidate the gift cards and deposit the money back into your bank account. In order to liquidate gift cards, we have several options. Most grocery stores sell money orders using a debit card for a certain maximum denomination (generally $500 or $1,000) at a relatively low fee (70 to 75 cents). Walmart is among one of the most popular stores and sells money orders up to $1000 for a low fee of 70 cents using debit cards. The challenge with money orders is the fact that it creates an extra trip to the bank to deposit them. It also shouldn’t be a surprise that routinely going to the same bank with a ton of money orders might catch someones attention. 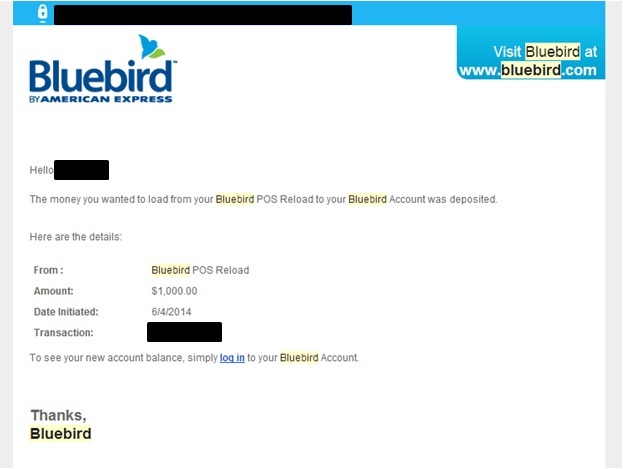 Bluebird is the checking alternative from American Express, which features debit loads (like the Visa debit gift cards) of up to a $1000 per day and $5000 per month at Walmart. This can be done at any cash register or customer service center. The Bill Pay feature makes this a very powerful tool since they include most of the major credit card companies! This means you can load your Bluebird with your visa gift card and pay the credit card you used to purchase that gift card back on the same day! This is a neat online tool that lets you pay bills directly using debit cards (save a trip to Walmart!). However, Evolve Money doesn’t let you pay any Credit Card companies. Some ideal uses for Evolve Money are student loans, paying rent (if possible with your landlord), and making mortgage payments. The challenge with Evolve Money is that their current merchant list is not as robust as Bluebird and they don’t allow payments to credit card companies. Evolve Money’s database is growing and you can always request them to add more merchants. 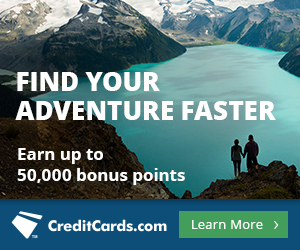 Let’s say you buy two $500 Visa gift cards, as mentioned above, from a gas station using a Chase Ink card. 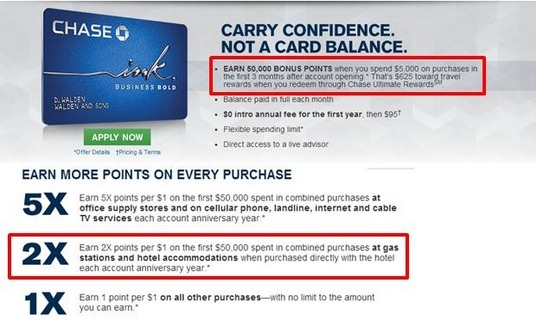 Remember Chase Ink requires a $5000 spend in the first 90 days to earn the 50K sign up bonus and it earns 2x points at gas stations! I just earned 2020 points for 0.49 cents per point and got the “floating money” back in my hands! Learning curve. This can’t be stressed enough for a rookie that taking things slowly will ultimately help you understand how the game works as well as allows you to test the waters. As with many other things in this game, manufactured spending is very YMMV (Your Mileage May Vary) meaning what works in New York may not work in Sacramento and what works in Sacramento may not work in San Diego. Be a steward of manufactured spending, not an abuser. Just like most good things in life, this golden opportunity won’t be around forever and while it may seem tempting to go all out and try to manufactured spend as much as possible, there is a thin line between abusing the system and playing the game the right way. 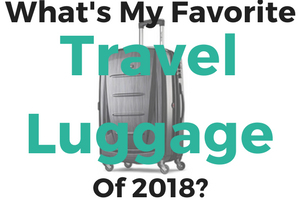 The general rule of thumb is to use manufactured spending when necessary to earn your sign-up bonus points, top off an account or to accrue some extra miles quickly to book that dream vacation. It benefits everyone if these opportunities last for as long as they can so you can continue reaping the benefits. This is why I referred to this as a marathon earlier and not a race. It is pivotal to have a plan in this game, after all nobody wants to be stuck with bunch of credit cards with high spend requirements and potentially non-waived annual fees only to realize your “go-to” place has stopped selling gift cards or stopped issuing money orders through debit cards. Always make it a habit to liquidate before buying new gift cards as getting stuck with numerous gift cards with no liquidation strategy will leave you with huge amounts of “floating” money. Lastly, do NOT put all your eggs in one basket. For instance, buying excess amounts of gift cards from one store or constantly buying suspiciously large number of money orders from one place will only draw unwanted attention. Certain stores have in the past, stopped allowing credit cards to be used for purchases of gift cards therefore this can happen at any retailer at any time. Any other options besides BB at WM? I don’t live near one and have $400 worth of Visa Gift Cards I need to launder. My local grocer will not sell money orders using a debit card. Thanks! Can BlueBird cards be reloaded only in Walmart? is there anyway I can reload it online? You can only load bluebird in stores. There is an online debit load possible but you can ONLY use an actual debit card. gift cards have been known to get users banned. Are BlueBird cards available in any store other than Walmart? Only Walmart has a tie up with Amex in regards to Bluebird therefore you HAVE to make that trip.